So intriguing that I ended up with two cards that I like equally but differently! For the first one, above, I focused on the colours, the DP, the heart and the circles. I used a little Stampin' Up sentiment. 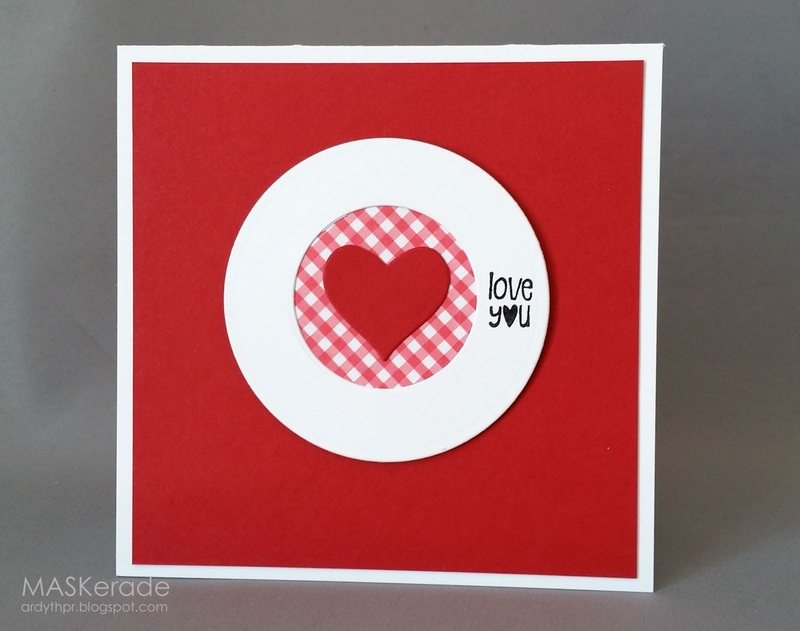 I created a round frame around some gingham paper that was lined up precisely on a 45 degree angle so that the heart could be placed symmetrically on the pattern. I love the clean feeling of this. For the second card I focused on the DP, the die cut and the double heart element. The Love die cut is a new one from The Stamps of Life (it's even longer, but I cut it off on both sides to fit). I made sure that all 4 edges of the gingham were cut to look the same. I often find myself focusing on little details like this. And just as often, probably, I completely miss them! lol! I hope you'll join us and play along with Muse this week! The deadline is on Monday morning at 8 am. At that time, voting will start and continue until Tuesday morning. Voting results will be posted on Tuesday at noon. Hope to see you there! I really like these cards. I am in love with gingham right now. Being a sewer, I totally get the need for even patterns. Nothing bothers me more than plaids not matching. You did well and both cards are wonderful. Love that "love" die. 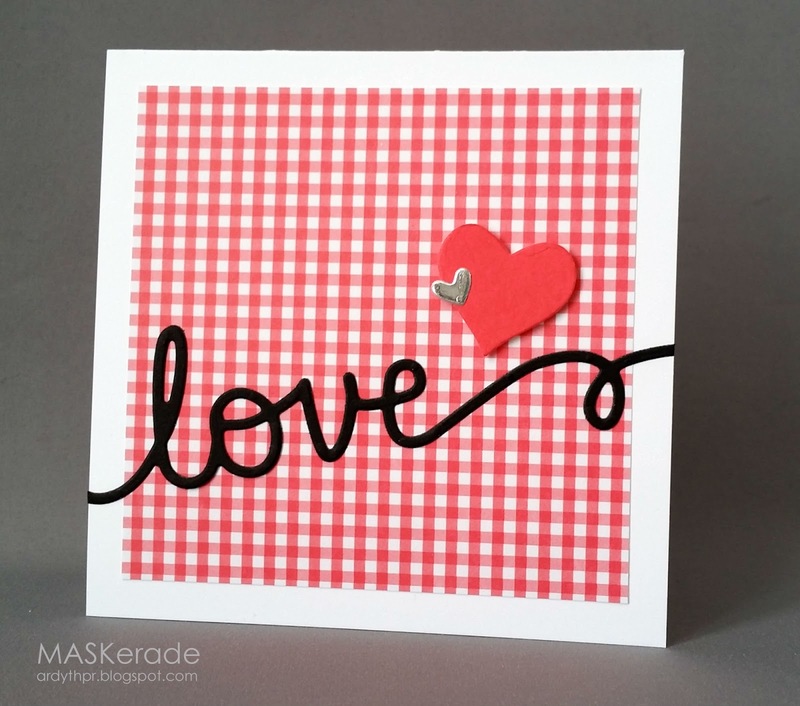 I totally get making sure the gingham is all cut the same and the way you lined the gingham with the heart! Love both cards but I think the first one is my favorite! "Love" your attention to detail! Thing is, I noticed the perfectly even DP borders before I read your post! Made my OCD heart sing! Both cards are fabulous - couldn't pick a favorite! Great die with tons of versatility just by chopping off a bit of the tail! You are amazing...just like both of your cards. I love your heart placement on your first card, just so perfect. These are both stunning. Love how you focused on different aspects and got two very different cards. Those little details--I think that they make the card, and even if one does not consciously 'see' them, our brains still register them and they add to the overall appeal of the card. This is it. doesnt better than this.